Henry Toole Clark was the 36th Governor of the U.S. state of North Carolina from 1861 to 1862 during the American Civil War. Henry T. Clark was born to a prominent Edgecombe County, North Carolina, planter family. His father, James West Clark, served as a US Congressman and later as a Navy Department official in the Andrew Jackson administration. The Clarks were members of that elite planter class that dominated social and political thought in eastern North Carolina. Henry Clark devoted over twenty years to the service of the Democratic Party at the local, state, and national levels, and over ten years as a state senator. Clark attended The University of North Carolina at Chapel Hill where he was a member of Dialectic Society. He graduated with honors in 1826 and later earned an A. M. in 1832. He joined the bar a year later, though he rarely practiced. He spent most of his time managing the family's extensive land and slave holdings in North Carolina, Alabama, and Tennessee. The Clarks owned as many as sixty-two slaves, many of whom were hired out to others for their labor. 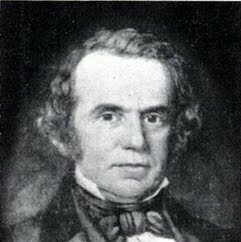 In 1861, Clark was Speaker of the North Carolina Senate. When state governor John W.